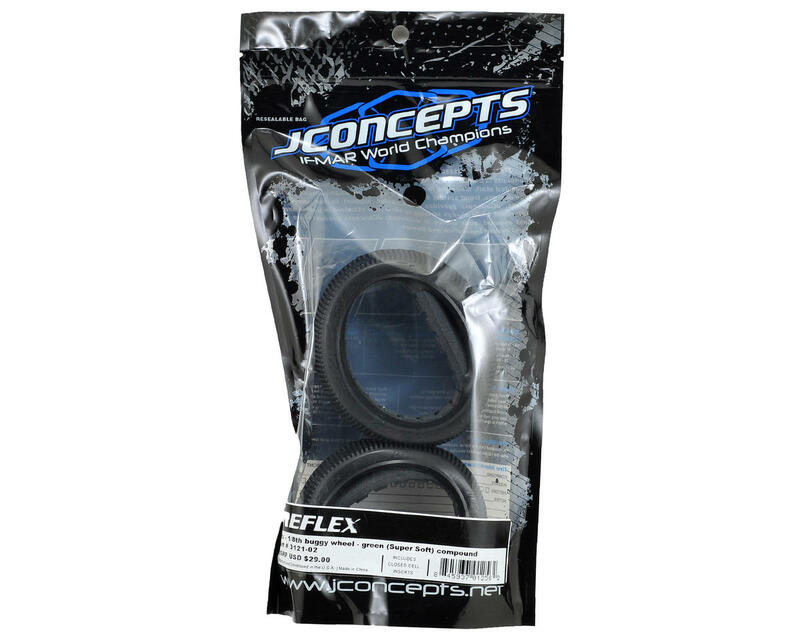 This is a pack of two JConcepts Reflex 1/8th Buggy Tires. 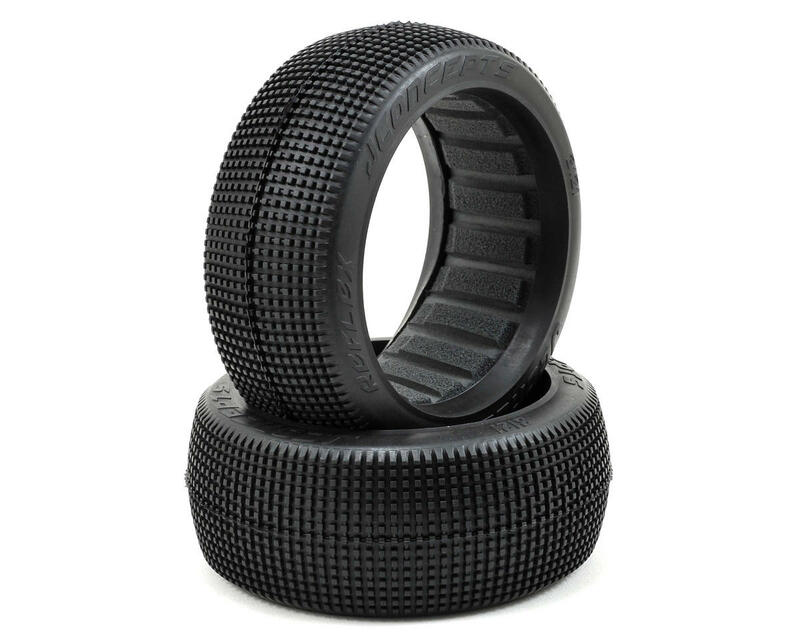 The Reflex tire is designed to bridge a gap between the popular Hybrid tire and other options such as Crossbow and Stacker tire. The Reflex has square angled pins that are stacked vertically to flex and fold evenly across the tire. Typically a stacked tread will wear less and provide more forward bite while the aligned space helps rotation in the turns and gives a snappy release to square up quickly. The included Dirt-Tech insert, popularized by its durable nature and gray color, will give customers the combo package they have been waiting for from JConcepts.